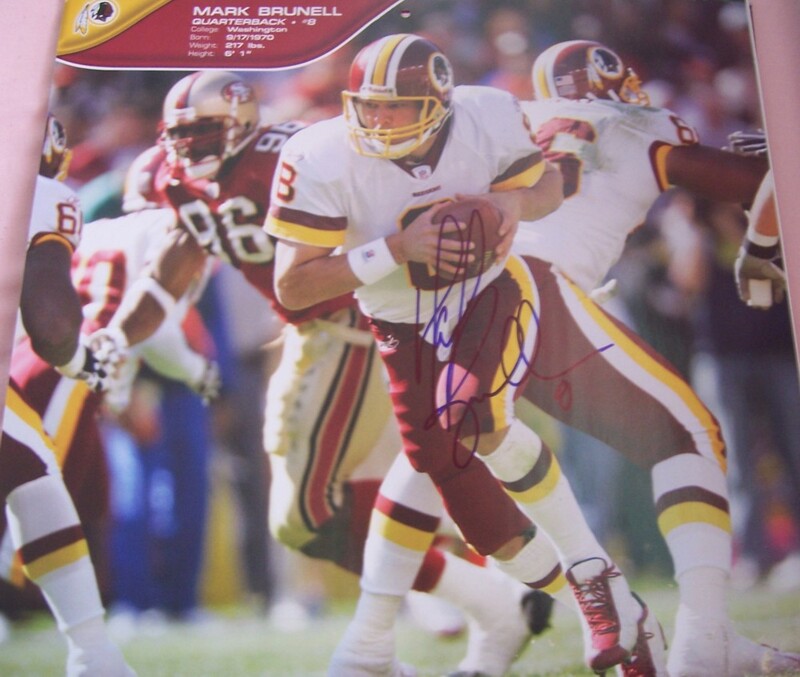 Washington Redskins calendar page (about 12 by 12 inches) autographed by former quarterback Mark Brunell. ONLY ONE AVAILABLE FOR SALE. With certificate of authenticity from AutographsForSale.com.